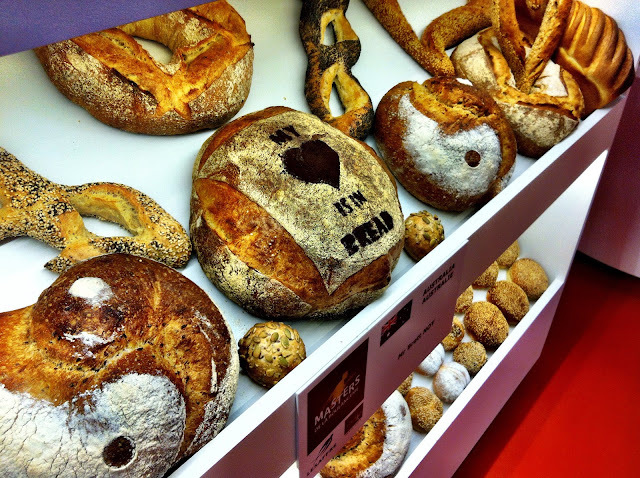 Like a kid in a candy store, I spent yesterday at the 2014 World Bakery, Pastry, Ice Cream, Chocolate and Confectionery Trade Show, EUROPAIN held in Paris. Yes, you read correctly, bread, pastries, chocolates, ice cream, desserts and all you could simply imagine under the sun..! (EEEEE..!!). Willy Wonka's, eat your heart out. Aside from EUROPAIN showcasing over 770 exhibitors from France and around the world, it also hosted several major competitions such as the World Barista Championship, the World Cup Tasters Championship, the World Latte Art Championship, the World Coffee in Good Spirits Championship, the Bocuse d'Or France, the International Confectionery Art Competition and, the prestigious Masters de la Boulangerie 2014, ie the 2014 Bakery Masters. 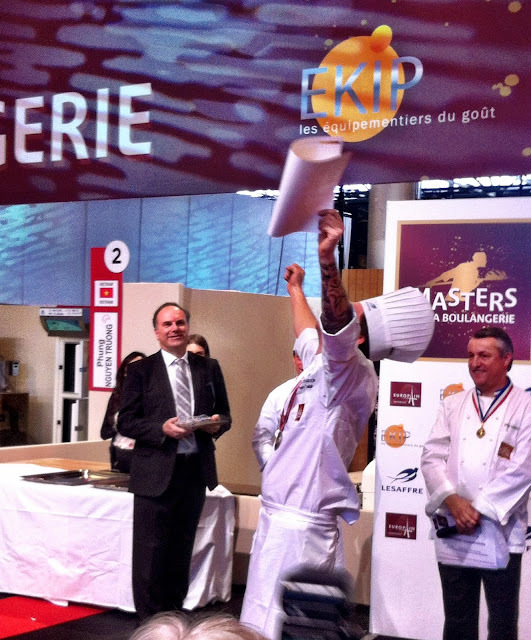 This competition, the 2014 Bakery Masters is some serious stuff. 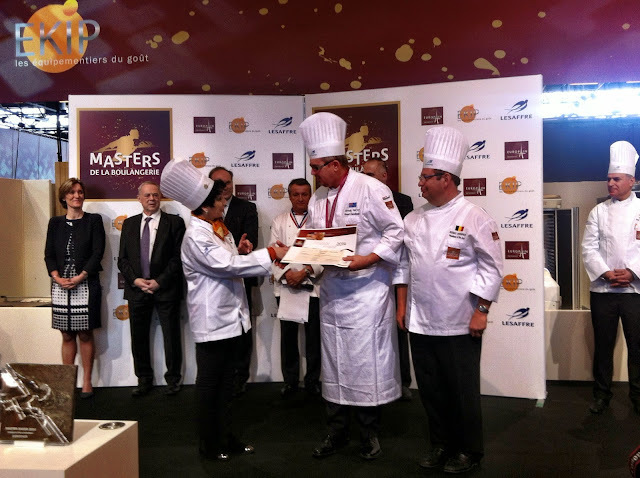 Likened to the Olympic Games of the bakery world, the Bakery Masters is the final stage of a series of internationally renowned competitions such as the Louis Lesaffre Cup and the Bakery World Cup, which saw teams from countries around the world compete against each other. 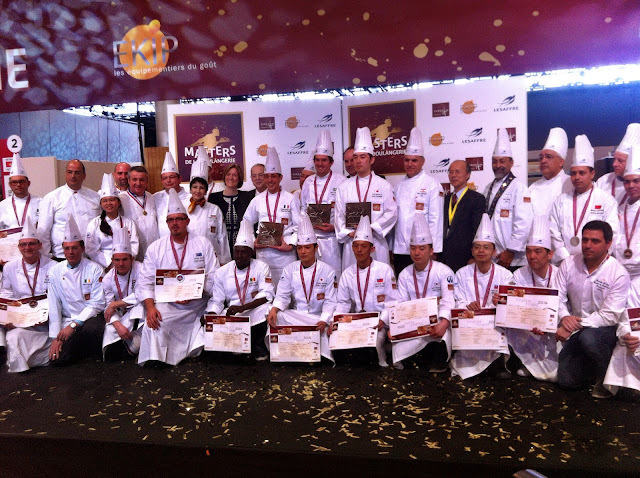 The best individual contestants from these competitions then went on to the gruelling final Bakery Masters in Paris. 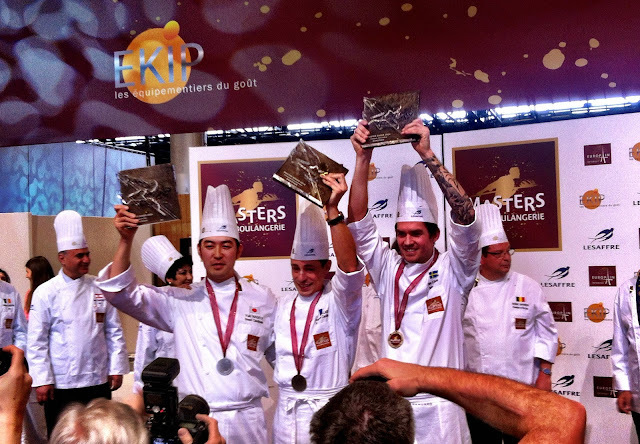 For each of the three categories Bread, Viennese Pastry and Artistic Piece, only the top 8 candidates from around the world were chosen to compete. 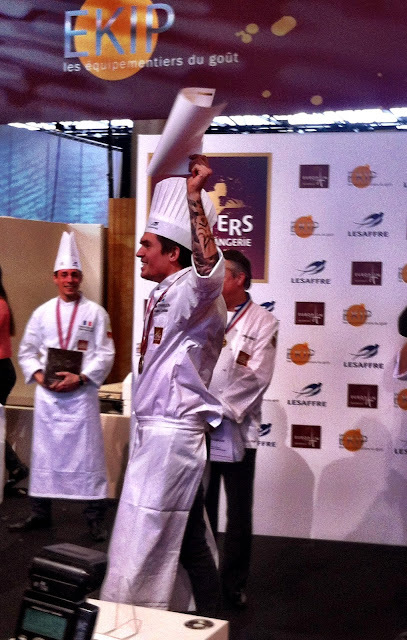 One of finalists in the Bread Category was Brisbane baker Brett NOY, the first Australian to ever compete at this high a level! 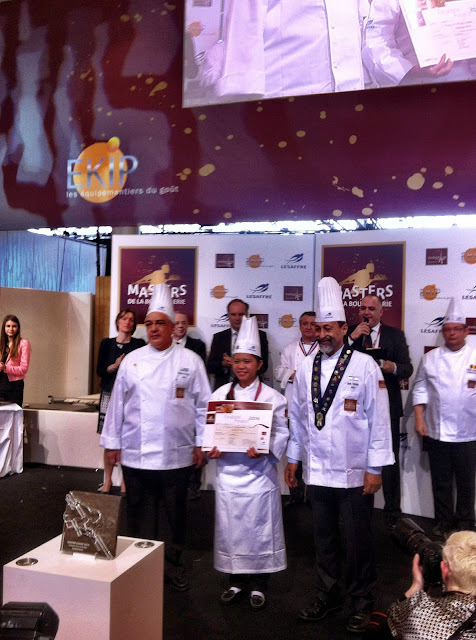 The only female finalist out of the 24 candidates was Kim Phung TRUONG NGUYEN from Vietnam who competed in the Viennese Pastry category. 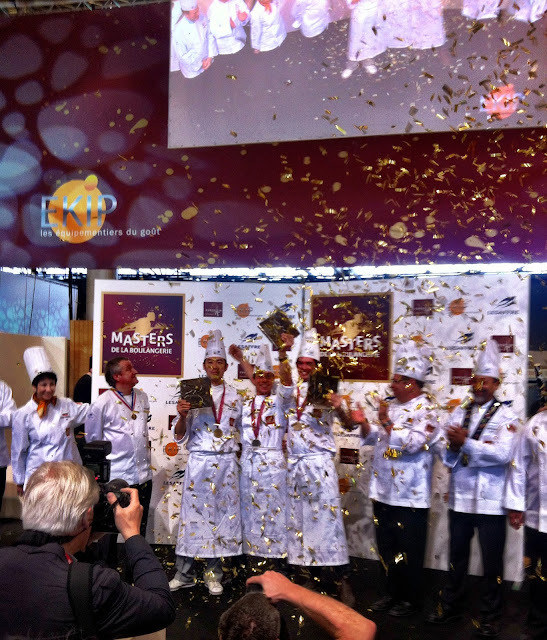 The four day contest concluded yesterday after 4 days of intense baking with the three winners announced in the respective categories. 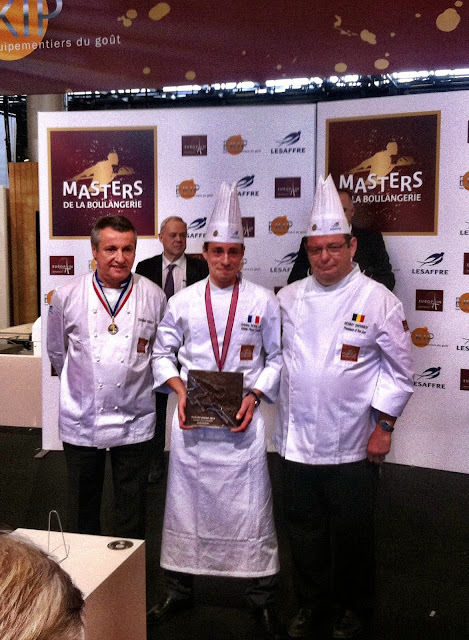 France took out the prize for best Artistic Piece thanks to Antoine Robillard. 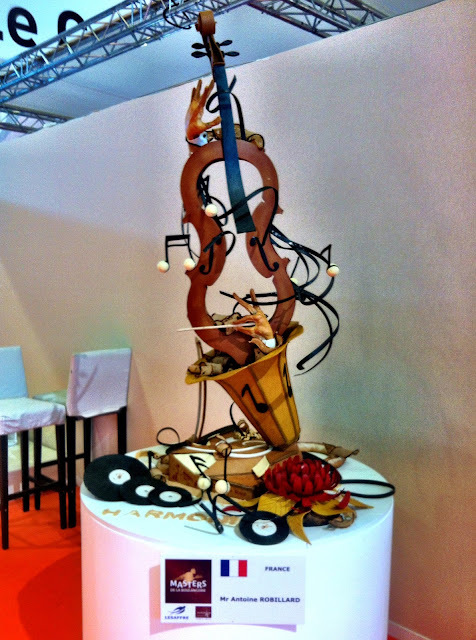 The challenge was to produce an artistic piece purely out of bread (no articificial support allowed) that measured between 140cm and 160cm, in only natural bread colours, adhering to the theme "music of the world". 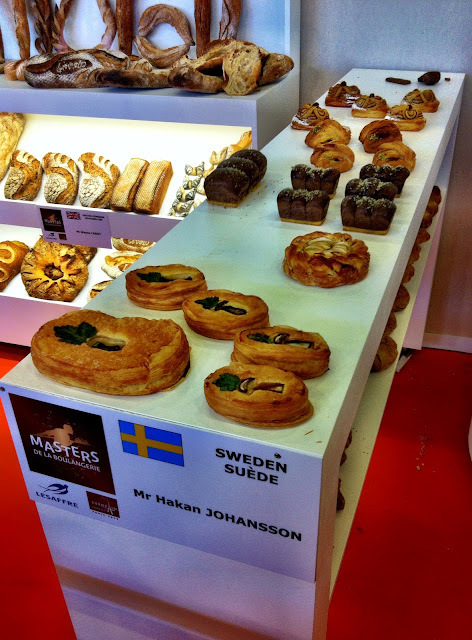 Sweden took out the prize for Viennese Pastry thanks to Hakan Johansson. 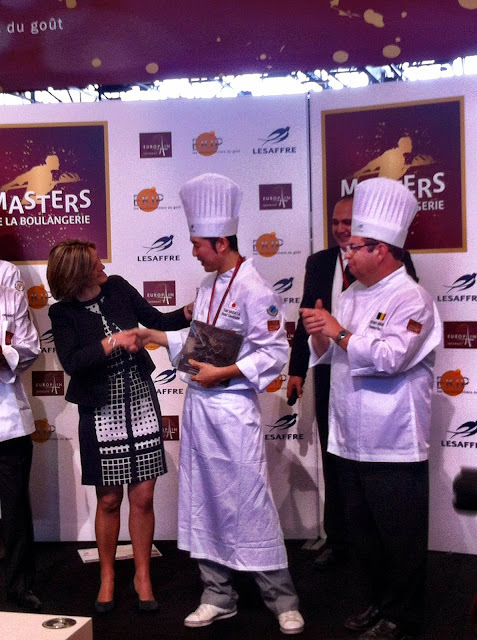 And the coveted title of Master Baker for the Bread category was won by Yuki Nagata, from Japan. The difficulty of this competition was the challenge to use the local flour and water for 7 out of 8 of the bread challenges. Only 1 out of the 8 challenges permitted the use of the contestants' own flour. Fantastic post!!!!! 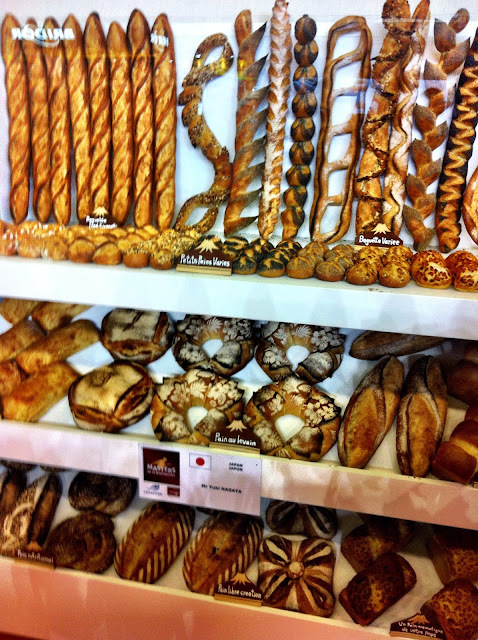 I am a bread lovers, especially French baguettes, so that why I keep reading this article so many times! Again! the photos were so attractive!